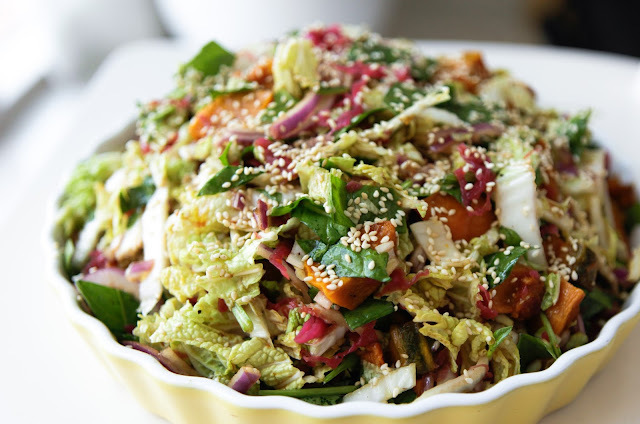 I love salads that keep all day without getting soggy. They’re perfect to take on picnics or pack for lunch. 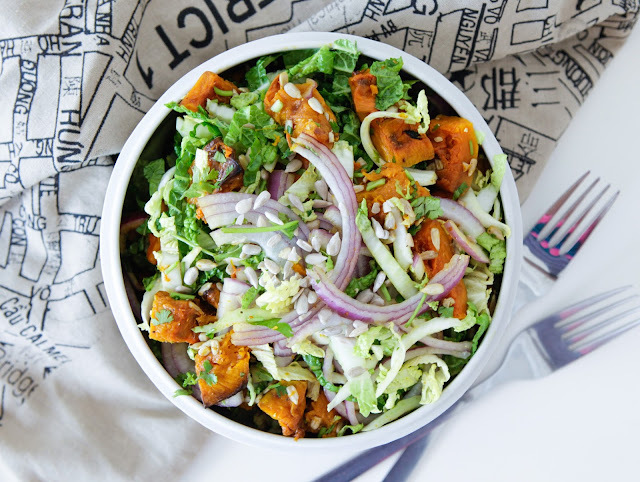 This roast pumpkin and Chinese cabbage salad can be made the day before and is easy to make with only five ingredients. 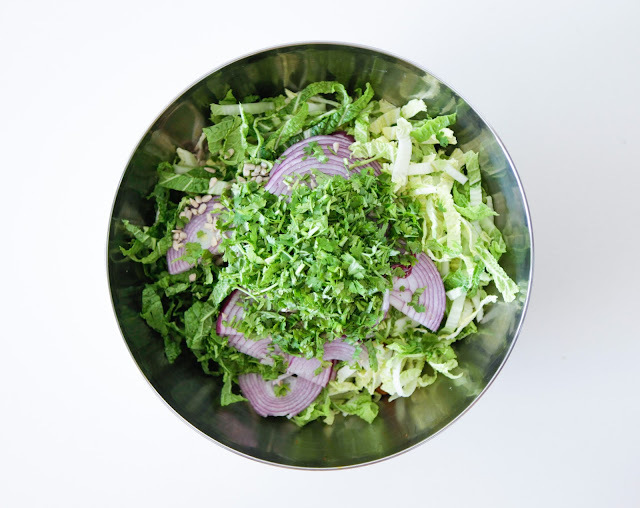 The dressing is super tasty with a wheat free tamari, lime and sesame dressing which you can keep aside until ready to eat. Over the weekends I usually make a big batch and portion it out or leave it on the table for everyone to help themselves throughout the day along with a few other veggies. I then only need to heat up some healing bone broth, cook up some protein for the kids and I am set for the day. 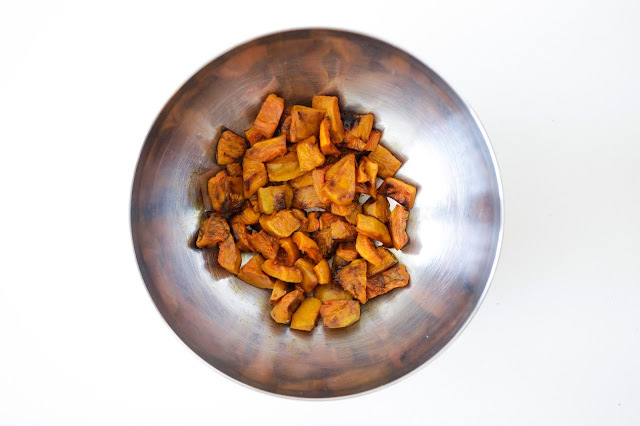 I love roast pumpkin with everything (check out my roast pumpkin with quinoa salad here). I usually get a whole pumpkin every week and roast the whole thing up to store in the fridge. It’s great for adding a little sweetness to any dish, building a salad with or just nibbling on it’s own. Chinese cabbage is different to your standard cabbage, it is long and oval in shape with soft frilly edges. 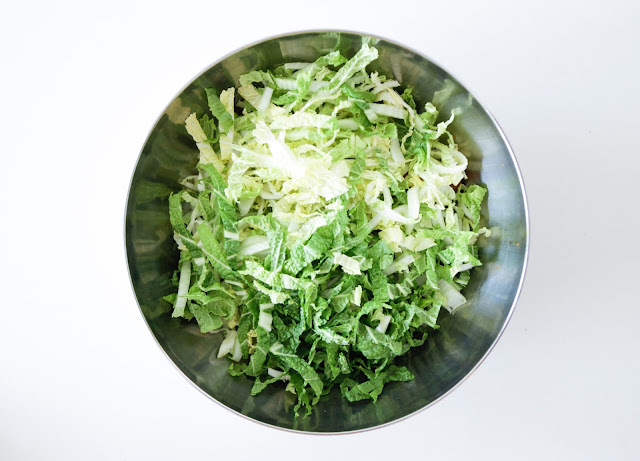 It can be cooked or eaten raw and is the cabbage used in kim chi recipes. I find it sweeter and nicer to eat raw as the frilly yellow and green leaves are softer. It’s a good source of folate, vitamin C, K and contains many other vitamins and minerals. 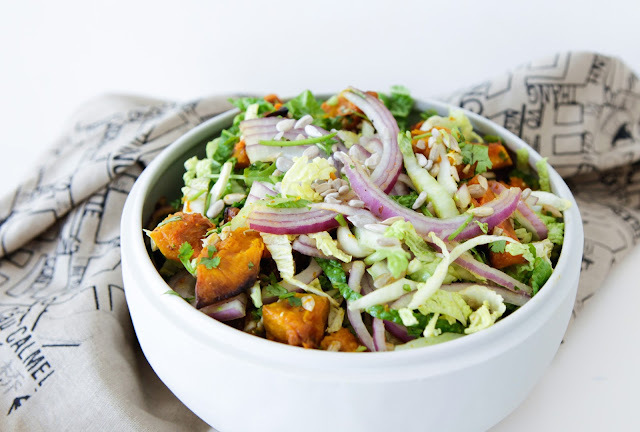 With the addition of all the other ingredients like pumpkin, spanish onion, coriander and sunflower seeds this salad is jam packed with good stuff. In a small jar, add all the dressing ingredients and shake until mixed well, there will be extra – Don’t pour the whole jar over your salad! In a small jar, add all the dressing ingredients and shake until mixed well, there will be extra - Don't pour the whole jar over your salad! I really enjoyed this salad..I used red cabbage instead as I didn’t have Chinese and added roast chicken to make it a full meal.